Today the provisions of the Succession to the Crown Act 2013 come into force. The Act removes the male bias in the line of succession, ending the system of male heirs automatically inheriting the throne over female heirs and removing this historic discrimination against women. The Act also ends another long-standing piece of discrimination, the bar on anyone who marries a Roman Catholic from becoming monarch, and replaces the outdated Royal Marriages Act 1772 such that only the first 6 in line to the throne need consent of the monarch to marry. These changes were agreed at the Commonwealth Heads of Government meeting in Perth, Australia, in October 2011. The Government has worked closely with the 15 other countries where the Queen is Head of State to make the necessary arrangements to give effect to the changes. Today these changes have come into effect across every Realm. During the passage of the legislation the Advocate General undertook to update Parliament as to how each Realm had given effect to the changes to Royal succession. Six Realms in addition to the United Kingdom chose to legislate for the changes: Australia, Barbados, Canada, New Zealand, St Kitts and Nevis and St Vincent and the Grenadines. Nine Realms concluded that the legislation was not necessary: Antigua and Barbuda; Bahamas, Belize, Grenada, Jamaica, Papua New Guinea, St Lucia, Solomon Islands, and Tuvalu. The Act reflects this Government’s emphasis on equality by removing centuries of discrimination on both religious and gender grounds. The Act puts in place succession laws that are fit for the 21st century and for a modern constitutional monarchy. 2013 CHAPTER 20An Act to make succession to the Crown not depend on gender; to make provision about Royal Marriages; and for connected purposes. In determining the succession to the Crown, the gender of a person born after 28 October 2011 does not give that person, or that person’s descendants, precedence over any other person (whenever born). (1)A person is not disqualified from succeeding to the Crown or from possessing it as a result of marrying a person of the Roman Catholic faith. (2)Subsection (1) applies in relation to marriages occurring before the time of the coming into force of this section where the person concerned is alive at that time (as well as in relation to marriages occurring after that time). (1)A person who (when the person marries) is one of the 6 persons next in the line of succession to the Crown must obtain the consent of Her Majesty before marrying. (c)recorded in the books of the Privy Council. (3)The effect of a person’s failure to comply with subsection (1) is that the person and the person’s descendants from the marriage are disqualified from succeeding to the Crown. (4)The Royal Marriages Act 1772 (which provides that, subject to certain exceptions, a descendant of King George II may marry only with the consent of the Sovereign) is repealed. (d)no person acted, before the coming into force of this section, on the basis that the marriage was void. (6)Subsection (5) applies for all purposes except those relating to the succession to the Crown. (1)The Schedule contains consequential amendments. (2)References (however expressed) in any enactment to the provisions of the Bill of Rights or the Act of Settlement relating to the succession to, or possession of, the Crown are to be read as including references to the provisions of this Act. Article Second of the Act of Union (Ireland) 1800. (1)This section comes into force on the day on which this Act is passed. (2)The other provisions of this Act come into force on such day and at such time as the Lord President of the Council may by order made by statutory instrument appoint. (3)Different days and times may be appointed for different purposes. (4)This Act may be cited as the Succession to the Crown Act 2013. (b)the second reference to eldest son and heir were a reference to eldest son if the heir. (b)in section 2, omit “or shall marry a papist”. 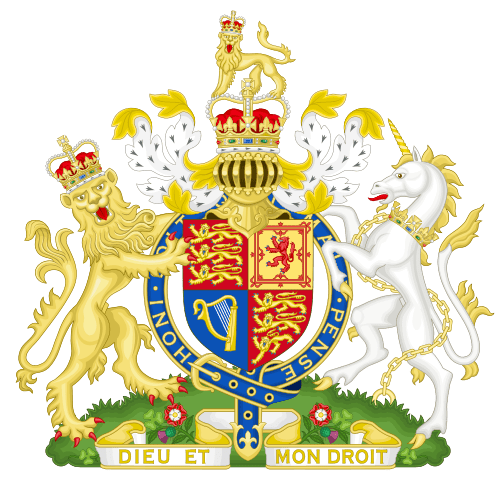 4In section 3(2) of the Regency Act 1937 (persons disqualified from becoming or being Regent), after “Crown” insert “, or is a person disqualified from succeeding to the Crown by virtue of section 3(3) of the Succession to the Crown Act 2013”. 5The amendments made by paragraphs 2 and 3 apply in relation to marriages occurring before the time of the coming into force of section 2 where the person concerned is alive at that time (as well as in relation to marriages occurring after that time). Cette entrée a été publiée dans Actualité, Grande-Bretagne, Royauté le 26 mars 2015 par Olivier Guionneau.